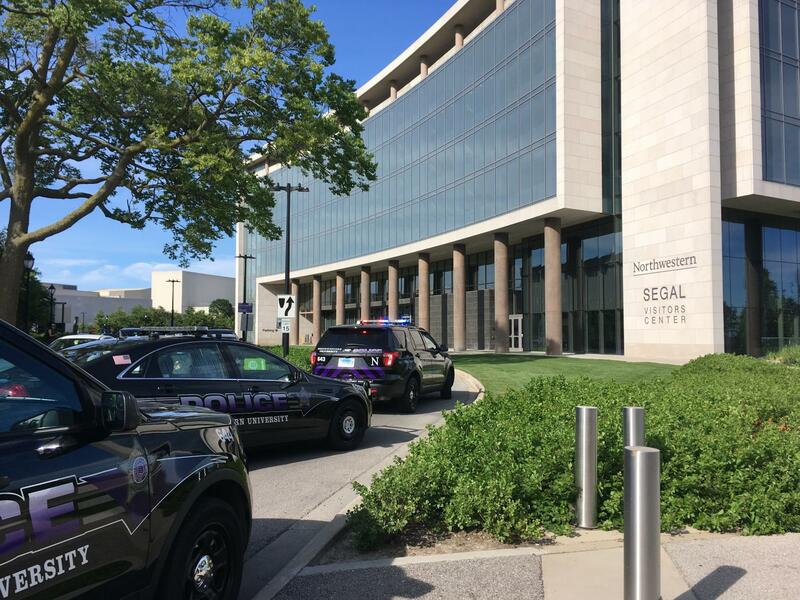 Northwestern police cars parked outside the Segal Visitor's Center. NUPD and EPD are investigating a call of a shooter on campus. Evanston and University police are investigating the call of a man with a gun on Northwestern’s campus Tuesday, according to the EPD twitter account. At 5:40 p.m. EPD tweeted that the area was secure and police units were clearing the scene. The tweet said the likely source of the call was props being used by one of “numerous drama camps” in the area.